PSL is a breath of fresh air for Pakistan Cricket after a long spell of International isolation. It infused fresh blood into our cricketing line-up and brought Pakistan back into the limelight. The security situation in Pakistan compelled the authorities to organize PSL matches in the United Arab Emirates. Prime Media is offering PSL Ground Advertising, Peshawar Zalmi Kit Branding, Islamabad United Kit Branding, Lahore Qalandar Kit Branding, PSL Advertising on PTV, PSL media buying on Ten Sport, PSL Advertising on Geo Super. 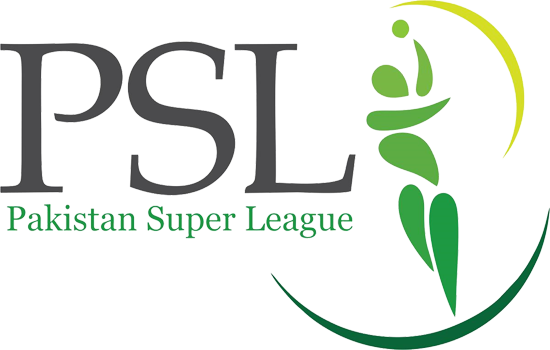 PSL: Pakistan Super League is a professional franchise comprising Twenty 20 Men’s cricket league. Its headquarter is located in Lahore and is administered by Pakistan Cricket Board (PCB). It was established in 2016. It comprises six franchises representing various cities of Pakistan Cricket has become a religion in the subcontinent. Every cricket matchmaker is watched by billions of people on television and it provides a great opportunity for all kinds of business companies to advertise their products on a massive scale. PSL has emerged as most-watched event in Pakistan as well as in UAE. Prime media, a prestigious media organization offers all kinds of advertisement solutions. Its services include media buying, outdoor advertisement , video production, creative services, and much more. Our services aim to provide you with multiple options to make your product a brand. PSL is a breath of fresh air for Pakistan Cricket after a long spell of International isolation. It infused fresh blood into our cricketing line-up and brought Pakistan back into the limelight. The security situation in Pakistan compelled the authorities to organize PSL matches in United Arab Emirates (UAE). That was a good decision choosing UAE as the venue for holding PSL as it has a considerable population of South Asian countries that are, naturally into the game of cricket. The league is a single entity, which is financed by investors instead of functioning as independently owned teams. Multan Sultans are bracing to join PSL in 2018. PSL ground advertisement will be arranged according to the sponsors because without any fund no one can do anything. We are working hard and planning for the best we can do in this regard after all this is one of the biggest events every year. PSL is not a smaller cricket match because it has several hopes and prayers that will return the cricket back to Pakistan. No one will be afraid of terrorism but having a happy and healthy environment in the game. Every city is ready for of the wonderful events of PSL. It will also give a lot of profit to the sponsors to spend more next year in the PSL ground advertising. PSL ground will be in Dubai and they are taking care of every need of the audience as well as trying to give a flexible pitch to the teams. Starting ceremony of the PSL was in Dubai last year and now it will also in Pakistan as the PSL ground advertisement is our responsibility and we try to make everything in a unique way which will give the proper visibility to every sponsor in the event. PSL season is going to start in Pakistan. The game of cricket got the fame not in Pakistan but also around the world. This season take a lot of things with it and one of them is Kit Branding. This will give the chance to the brands who want to advertise their branding on Kit and earn a lot of profit by this advertising. We are here to fulfill your needs in this regards. We have the right to do Peshawar Zalmi Kit Branding. This will enhance the quality of your business on an international level, on the other hand, you will get the visibility. Branding of a product is really important if you want to earn a good profit from this. We know how to make a brand from a smaller product. We are an experienced partner of PSL and have the right to make brands bigger this season. Bigger brands usually choose the best place to market themselves and this makes them famous among all. So why not you if you are a businessman with a smaller business you can also start it today to invest more in marketing if you want to see your smaller business as a bigger brand. We are here to fill up your need and market your brand on the Peshawar Zalmi Branding Kit. We can advertise the logo of your brand according to your instruction like we can make a smaller logo for you or a large logo for you. Larger logos of the brands give more visibility to the product. We are giving the services from last many years and in this time we have made a lot of bigger brands. Your success is our success and we do it with full patience and loyalty. We are the owner of some of the biggest advertising branding campaigns. This is our duty to enhance the products we help the businesses to grow up and make their standings. On the other hand, our focus is to give the proper message of a product to the target audience. For this purpose, our team is working hard and stepping into the modern use of every product to make it famous for the younger audience. As the PSL season is on and we are doing Peshawar Zalmi Kit Branding so now you can advertise your logo on those kits if you are doing a marketing campaign with us. This is the biggest chance to market your brand in a modern way. As we already told you that we think about the modern ways to market your product. This process also takes the cost. Our pricing is very reasonable as we know the smaller brands they cannot pay a large amount. We customize the package as per your need to give you full control and visibility to your product. Our customers are satisfied with what we are giving them in their package. You can also change the package at any time when you want more marketing or less marketing. It is a positive addition to Pakistani Sports calendar and gives hope, not only to Pakistani people for better rapport among international community but also for young budding cricketers who aspires to be the next Imran Khan and Javed Miandad of the next generation. It is a positive sign and hopefully, with the improving security situation in Pakistan, PSL will finally come home and we will get to see our stars shining on our home grounds. Prime media provides multiple marketing and advertising services for PSL currently. We are officially integrated with PSL and can you serve in a variety of ways to proving you space and services in upcoming PSL season 2018. We work within the limitation of your budget without compromising on your objectives. We have a team of professionals who never fail in providing solutions in marketing and advertising whatever your budget is, we will offer you the practical real solution and help your product to be brand on an international scale.